Dr. Deborah Simpson is a Licensed Psychologist in the State of Michigan. 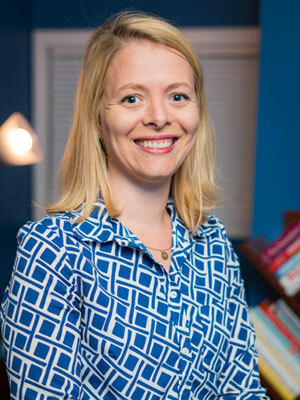 She earned her Ph.D. in Counseling Psychology from Louisiana Tech University and completed her pre-doctoral internship at the University of Pittsburgh Counseling Center. Prior to pursuing a doctoral degree, Dr. Simpson practiced as a Limited Licensed Psychologist in community mental health. Dr. Simpson has experience working with adolescents and adults with a variety of presenting concerns. Dr. Simpson’s clinical areas of interest include eating disorders, identity development concerns, and relationship difficulties. She has significant experience working with anxiety and depression, grief and loss, and life transitions and adjustments. Dr. Simpson also practices at Eastern Michigan University as a therapist and clinical supervisor. Dr. Simpson’s approach to therapy is integrative, utilizing approaches and techniques that best fit the concerns and needs of the client. Dr. Simpson aims to create a safe and supportive environment where individuals feel open to explore their concerns and work toward change.